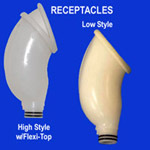 This Latex Free Afex™ Collection Bag feature a "turn-n-click" option to securely attach the Afex™ Receptacle, eliminating the need for tubes or straps. The Collection Bag also feature two convenient stabilizing tabs that attaches to the loops on the inter-thigh area of the Afex™ Briefs. The unique way these three components work together can restore self-confidence in men after Prostate surgery and other circumstances that causes male incontinence! The user can continue to enjoy fishing, golfing, bowling, bike riding and other activities without worry. 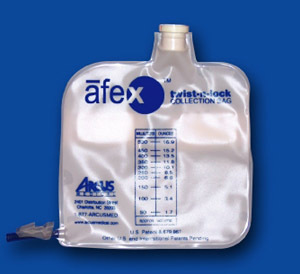 The Afex™ Collection Bag is made with a double-seal that contains odor and securely holds up to 16 ounces (500 ml). A "one-touch" horizontal port is added for simple and easy drainage. 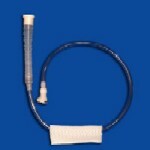 Features include a one-way flapper valve which prevents backflow when the bag is compressed or elevated, eliminating the possibility of bacteria accumulation, skin irritation or embarrassing odor and wetness. Choose from two sizes: 16 ounce (500 ml) and 32 ounce (1000 ml). Ideal for traveling long distances, sitting for long periods of time, and overnight use. A Vented Style Collection Bag is also available to eliminate built up air inside the bag (16 ounce size only). 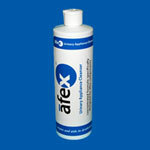 Recommended by Afex™ and specially formulated to safely clean all Afex™ incontinence components and eliminate odor.